In Miami and Bal Harbour Florida, Wastecorp was awarded a contract to design duplex pump stations for grease handling operations at mall based themed attractions and restaurants. The engineering team requested both state-of-the-art pumps, controls and sensors for the upgrade. 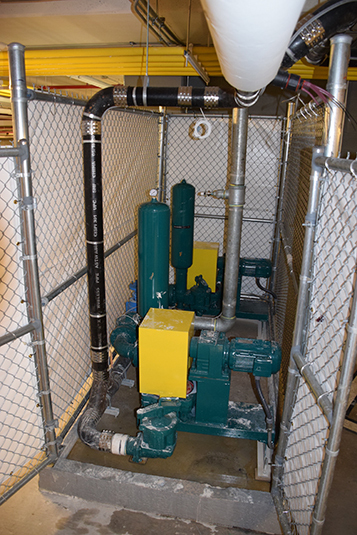 Specifications called for primary pumps and back up pumps to be connected to NEMA control panels with alarms, hi and low float switches and overpressurization protection. In both applications, the pumps transfer thinner liquids regularly, so like all positive displacement pumps – pulsation control is also a factor. The consulting engineer on the project requested that the packaged pump system be sent to the contractor to be installed when the renovation of the pump locations were complete. The project also called for Wastecorp to provide onsite training and installation support services to the facilities management teams and the engineer on the project. 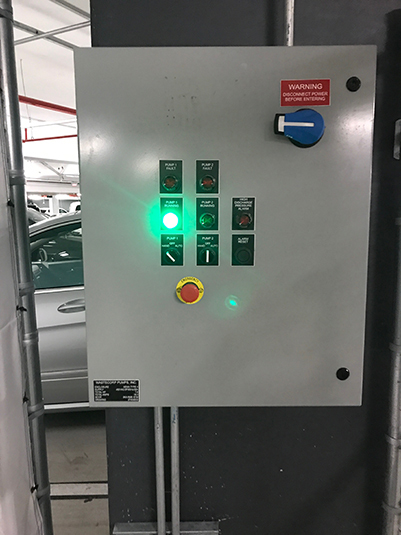 Wastecorp worked closely with the engineer and mall operators to design pump stations that are operator friendly, maintenance friendly and fit into the allotted spaces with a small foot print. The end result is powerful grease interceptor pump stations for these south Florida hot spots. Wastecorp supplied Mud Sucker 4B-EC duplex diaphragm pump stations to transfer the waste grease through supply lines. Each pump is capable of pumping up to 80 GPM and contain check balls to manage solids like bones, shells, skins, vegetable waste and other solids that get into the waste traps. Then only primary wear items are the diaphragm and the bearing rods that are easy to change and cost effective to repair. These pumps are designed for life cycles over 15 years and longer with proper maintenance.